The SIBO Summer eCookbook (US edition) is bursting with delicious recipes for people treating Small Intestinal Bacterial Overgrowth (SIBO). 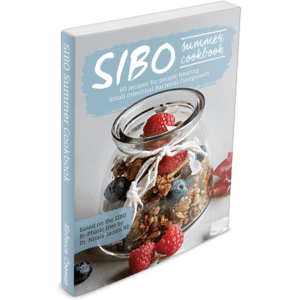 All recipes are based on the SIBO Bi-Phasic Diet Protocol developed by leading SIBO specialist Dr Nirala Jacobi ND. Rebecca Coomes believes in eating food when it’s at its best: in season. 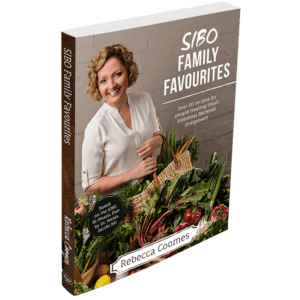 This cookbook features gorgeous summer produce, giving you a wide array of meals which are perfect for the warmer summer months. 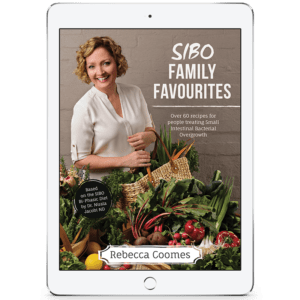 She uses a wide range of ingredients that will leave you feeling satisfied and happy to be eating a SIBO-friendly meal. This eCookbook is delivered immediately upon purchase via email. 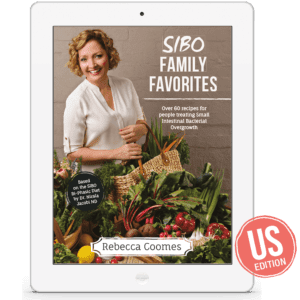 This eCookbook is the US edition. All recipes use US measurements, temperatures, ingredient names and US English. 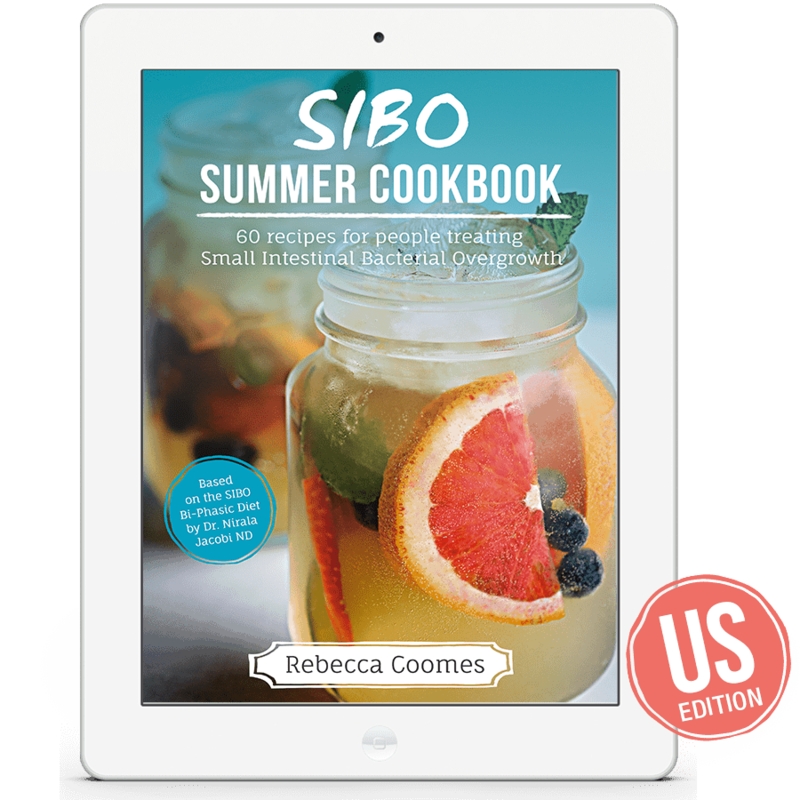 For the Australian edition of the SIBO Summer eCookbook, click here.